Following on from my themed stag do destination ideas, I have decided to chuck a curve ball and take a look at Reading. Why do you need to go to Reading on your stag weekend? Well, OK, it isn't the most popular of stag destinations, it isn't up there with Vegas and Edinburgh, however Reading is a fantastic stag do destination and it totally deserves a mention, and I feel it's my duty to let you know about this little gem. Just to let you know, DesignaVenture's Reading stag do packages are extremely great value for money and include 4 star hotels right in the centre. First and foremost Reading is located just off the M4, 30 minutes from London, close to the South East and extremely close to Ascot and Newbury (which I will get to later). Reading has some seriously cool 4* hotels, all city centre and walking distance to the nightlife. Any umm nightlife in Reading? 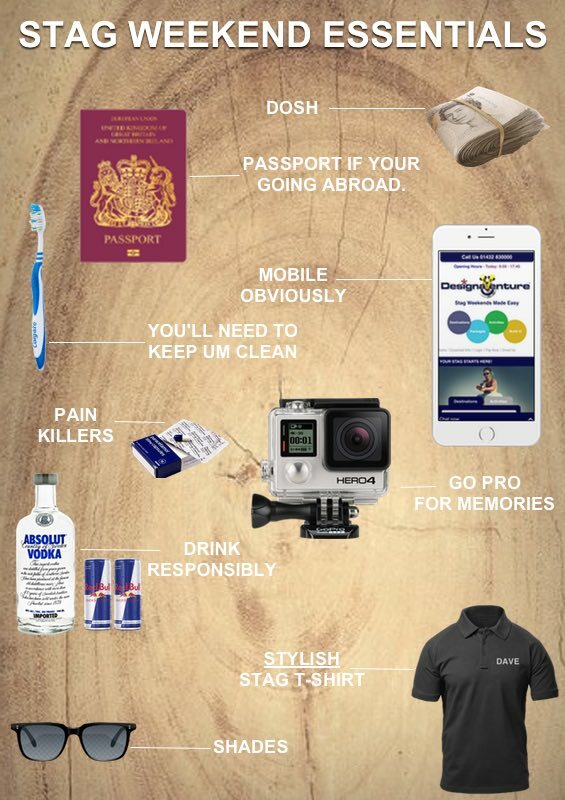 All you really need for an awesome stag weekend is money, passport (if going) abroad and your toothbrush. However, if you really want to pack heavy see the above infographic! Umm Nottingham, isn't that where Robin Hood lives like? Oh c-mon, if that's the only thing you can think of when someone mentions Nottingham you've never been there on a night out, let a lone a stag weekend. In my mind, Nottingham is one of the friendliest places in the UK, it's also the perfect stag do destination for it's perfect geographical position, which is by the way slap bang wallop in the middle of the UK, making it the ideal meeting point if you have a group of mates spread all over the Britain. I am not going to bore you with Nottingham's excellent rail and bus links, plus it's right next to East Midlands airport and just off the M1 and near the M6 - however, I just did without you noticing. The best thing about Nottingham is it's been extremely popular with stag parties from all over the UK since the 90s, so the locals know how to cater and look after them. So start planning your stag do early, a year in advance is an ideal time to start, if possible. The stag will know exactly who wants he wants to attend his stag do, you may even ask him if Dave's friend from work can come, so keep your list fluid and be prepared for numpties (see Dealing With Pub Talkers below). 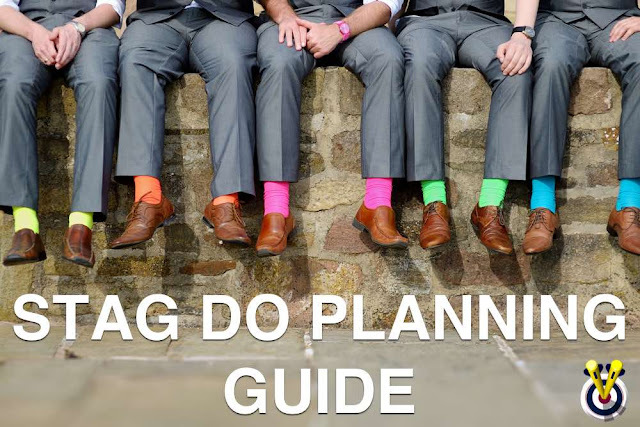 Choosing a date can be a real nightmare however, if you start arranging the stag do a year in advance it will be a lot easier. If deciding on a date start's to become like herding ferrets then book a date that will keep the main people happy, all the rest can fall in line - you can't perform miracles you know! Bubble football, AKA Zorb football is a fantastic stag do activity, and if you've never done it before you will love the concept. There's not many football matches (if any) where your main ambition is to knock your opponent off their feet, well, there is now with Bubble football. Bubble football is a fantastic stag do activity, why? It will keep the boys together, it's more of a team competition rather than an individual experience like a lot of stag activities are. Why not set up a match; best man & ushers Vs rest of the group or uni mates vs work mates, whichever teams you think will work. When you book with DesignaVenture everything you need for an epic time is included, Bubble's / Zorb suits, venue hire, footballs, goal posts and most venues offer bubbly for the winning team! We also mainly use venues which have changing rooms, showers etc and some even have a bar! The summer is the best time to have an adventurous stag do, May, June, July and August are the best months to white water raft, race karts, zip wire down a mountain or jump off a cliff into a deep pool. With that in mind lets dig deeper into some incredible stag do activities which will make your stag weekend rock. Like I said jumping into deep water off a huge cliff side will sort the men out from the boys, basically, are you going to piss like a puppy or start barking with the real dogs (no peer pressure then!). 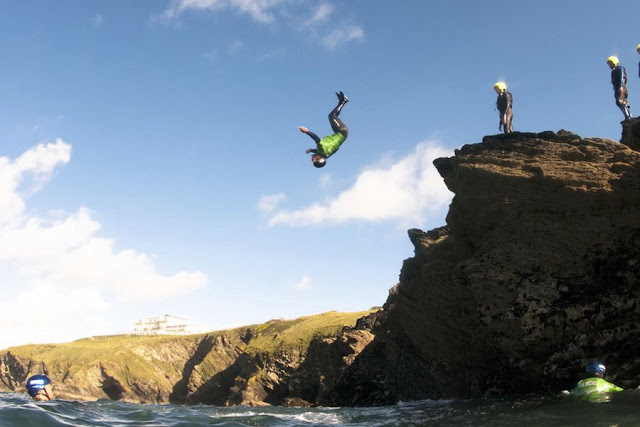 When booking Coasteering with a professional outfit (like DesignaVenture), we will make sure it's safe and you'll be provided with all the right kit including buoyancy aids, helmet, wet suits etc. plus you'll have a professional instructor guiding you along.